Every time we are in the Pasar Seni area, and we’ve finished with lunch, we always walk past this Indian Banana leaf rice (BLR) shop, Vinni Jeya, that makes us stop dead in our tracks to oogle its food advertisements. 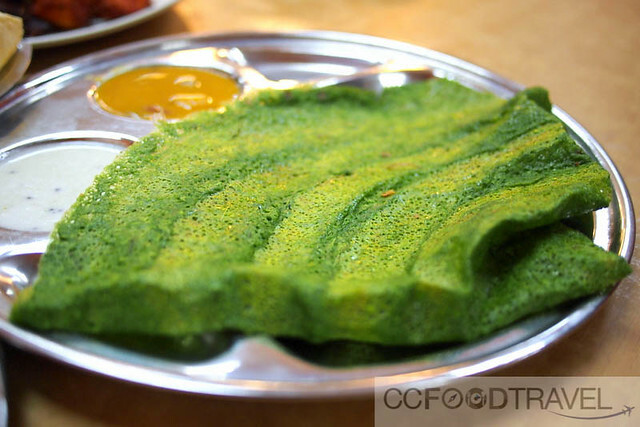 This one item always jumps out at us – a neon green thosai. That color is just so bizarre we always swear we will come back to try it. Weeks pass, we get busy.. activities pile up and Vinni Jeyaa ends up relegated to the back of our minds. Then one day, a visit from our Peruvian chef friend back in town, jogs our memory, and that vision of green thosai and fluorescent back-lit food counters filled with a hundreds of Indian curried delights, resurfaces once more. We head into Pasar Seni, in search of Vinni Jeyaa. Our visitor is a huge meat and rice eater, so we really brought him to the right place! 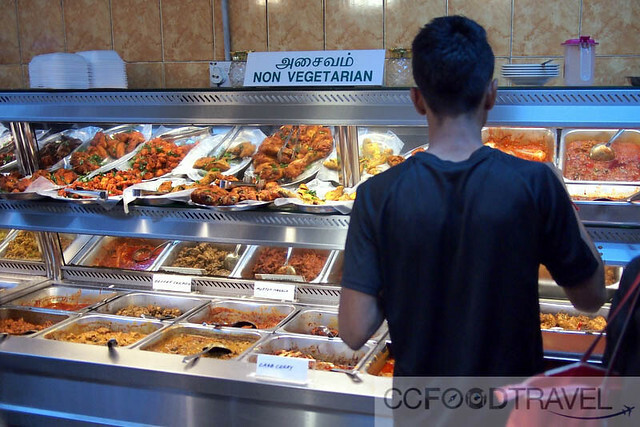 Nirvana for the Carnivore as well as Vegetarian, co-exist at Vinni Jeya’s, if there was ever such a thing. Faux meat in the dhal .. pretty tasty stuff! Over a dozen vegetarian dishes are available here, and one of the highlights was this dhal with fake meat in it – its soy based meat was actually very good – at first Cumi and visitor thought it was meat, but I knew it was soy! Oh yes.. you meat imposter you.. Surprisingly tasty, but with a more rubbery soy consistency that indicated it wasn’t real meat. Also the fluffiest, most soft chapati can be found here. Super impressed with the freshness and fabulous texture.. it was served steaming hot, but even after 10 minutes of blogger IG photo madness, it still retained its soft and pliable texture. Sure beats the hard chapatis hands down. Chapatis.. freshly made with love..
Not a vegetarian myself, I can vouch for the mutton varuval as being top on the meats to order. 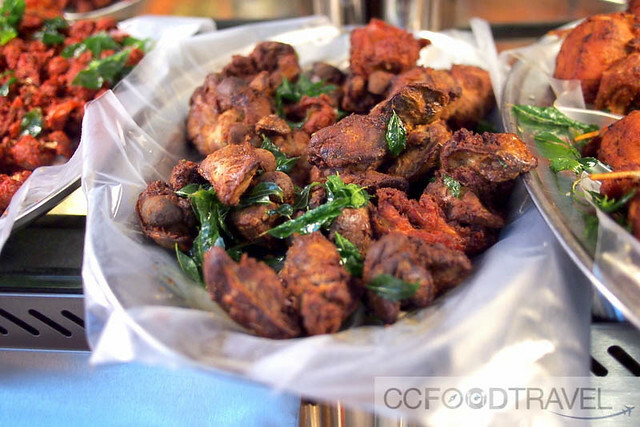 The fried chicken and chicken masala was not as impressive as the chicken bits were a bit hard and overcooked, but the mutton varuval as good. Just enough cartilage and fatty bits to make the meat moist and delectable. The neon green thosai turned out to be not as weird as it looked. It had a strong mint flavour and was well seasoned in ghee.. super delicious, especially with the coconut chutney. Also of stellar quality and flavour are the vegetarian korma and the tomato chutney. The Korma kuah has a deep, smoky flavour that’s hard to describe – can’t even imagine that there’s no meat in it because it has such an awesome flavour. But why stop there is probably the question you’re asking. And so, we didn’t! 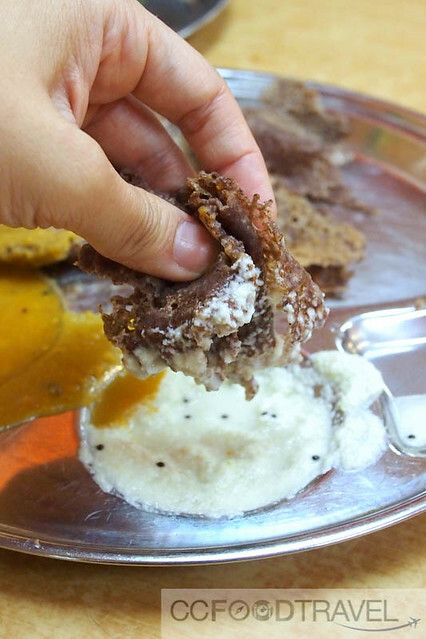 Another interesting thing on the list was this ragi thosai or ragi dosa. 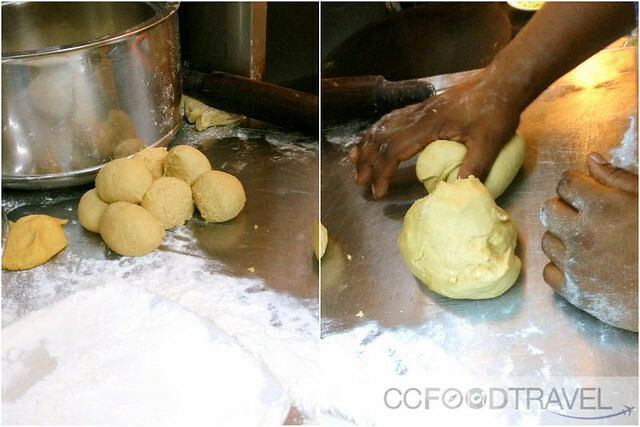 Made through a similar fermentation process as thosai, but employing finger millet. Ragi is rich in calcium and extremely good for vegans and vegetarians. 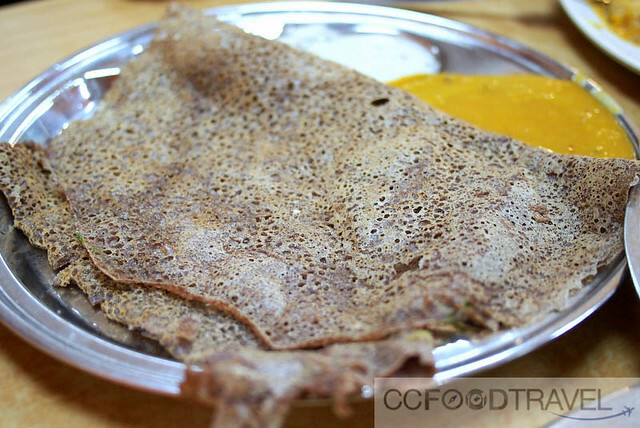 This thosai had a rich deep, whole grain flavour.. and the earthy smell of millet. Love it. 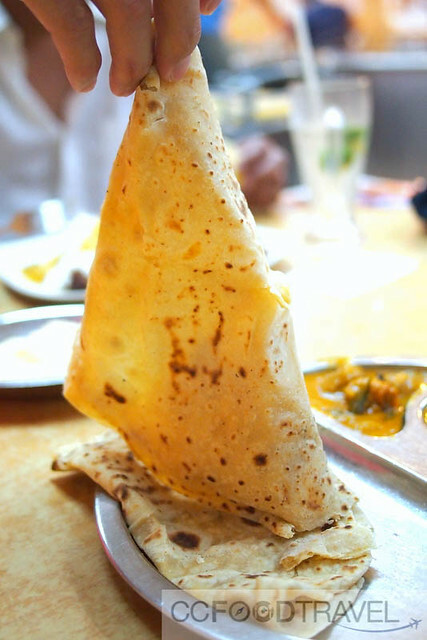 So, if ever you get tired of the regular Thosai, here are 2 great variations at Vinni Jeyaa. Chana Bhatura.. soft, thick and fluffy.. made from kabuli chana or chickpeas and cooked in a spicy onion-tomato based gravy and served with fried indian bread called bhatura.. this is next on our list of must trys! They are extremely generous with white rice here. I saw one pint size, female tourist’s plate piled so high with rice, if she held it up in front of her, it would have obscured her face. Well, she didn’t look like she was complaining .. and it has to be said, food here is cheap. We had mixed rice, with chicken, mutton, vegetables, 2 types of thosai, chapati and drinks for just RM40. 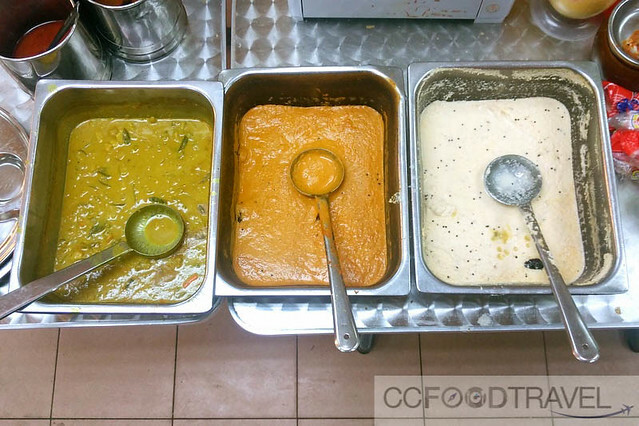 Rice, thosai and chapati… a great combination for food induced coma… Our visitor looked happy! Eating the colors of the rainbow takes on new meaning, at Vinni Jeyaa.. agree? Brilliant (tasting and colored!) 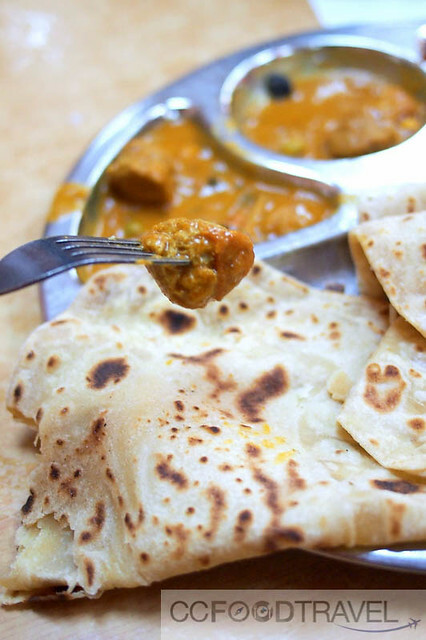 Thosai, chapati and mixed Indian dishes at affordable price. Parking can be a hassle unless you visit them at night, in which case you can just park along the road outside the shop. Otherwise, for lunch best park at Kompleks Kotaraya and walk. Previous articleNero Teca’s Intoxicating Sunday Brunch! 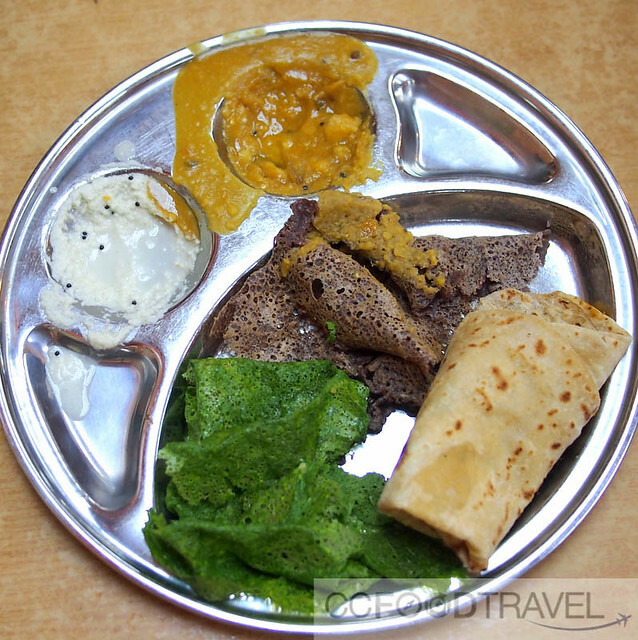 Ooo…I do like coconut chutney but not the mint thosai coz I dislike the taste of mint! What’s a bathura? I thought those are called puri. 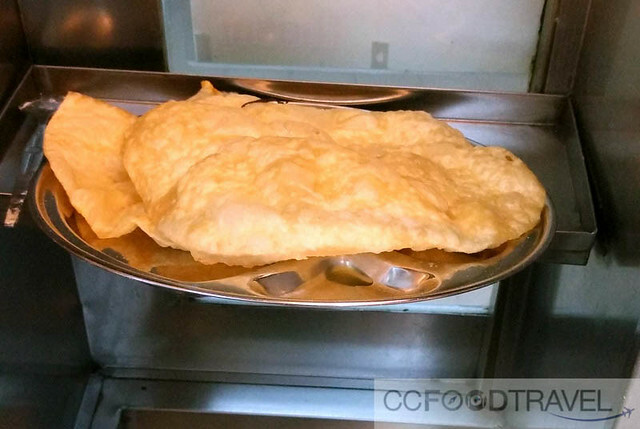 Technically quite the same as puri/poori but larger. Deep fried, usually accompanied with chole. Also got difft varieties like aloo bhatura (bhatura filled with boiled potato), paneer bhatura (bhatura filled with cottage cheese) etc.The accompaniment is a variety of chick peas. Not having banana leaf? I love that!!! Can’t get it here, too few Indians around but I know of a good place in Kuching and another one there that my friend there frequents. In KL, I remember Fierce. We always eat BLR. wanted to try the weirder looking neon food la :p Kuching where are?? Give contact please so we can go, when we are there next! Thanks! mint thosai really sounds interesting, i think i’ll like it! It’s been far too long since my last banana leaf. This spot seems to have a good variety. 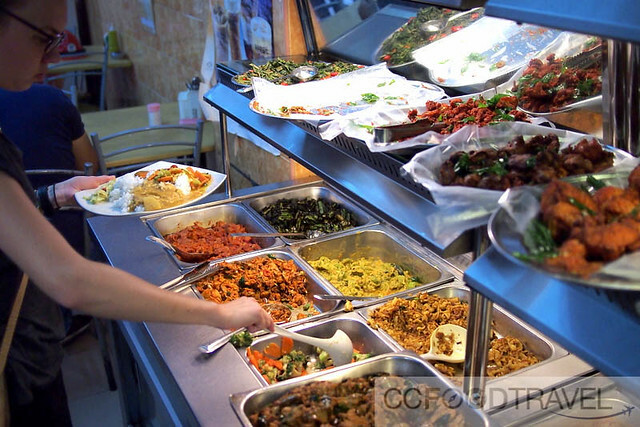 Yeah you should check it out – it has a nice mix of clientele .. locals as well as foreigners. 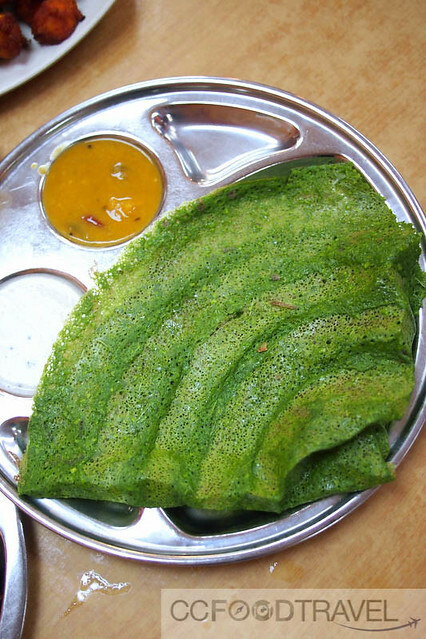 Wow, tosai in striking green colour, definitely would like to try!